Yes, it’s another ice-cream-drink…and yeah, maybe it was lunch yesterday. I hope you don’t mind, I’m just in the mood for stripey straws and swift-sweet-tooth-satisfaction…plus, this one is different because of the BOOZE factor. It’s no secret that this weekend is a BFD for lovers of all things green, and pinching, and Ireland, and Guinness, and corned beef, and whiskey, and drunk-stumbling camaraderie. As a certifiable hermit, I’m not one for crazy, raucous partying, but I do like to get down with a festive, boozey, treat to share with my favorites (you all included!). Enter this milkshake. It’s dead-simple, I mean…I know we can all handle making a milkshake, so think of this as more of a suggestive guide, rather than a recipe. 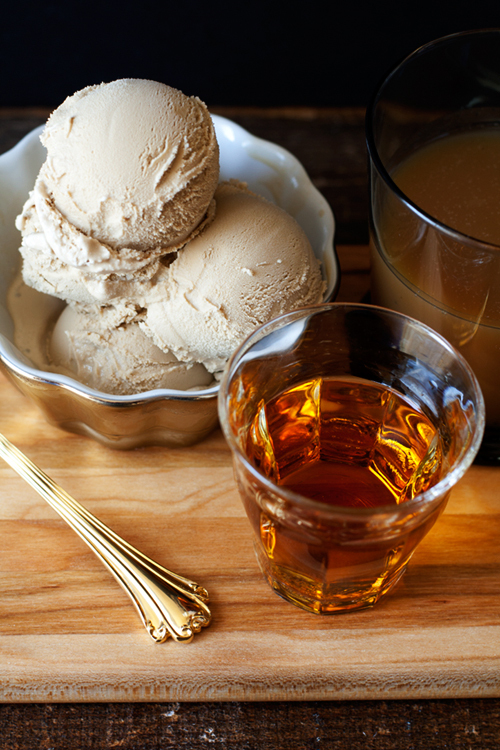 We’re blending together store-bought coffee ice cream, a little milk mixed with a little espresso powder, some whiskey (if I had any shame, I’d be real and use certifiable Irish whiskey…but I didn’t), and a boozed-up homemade caramel sauce. 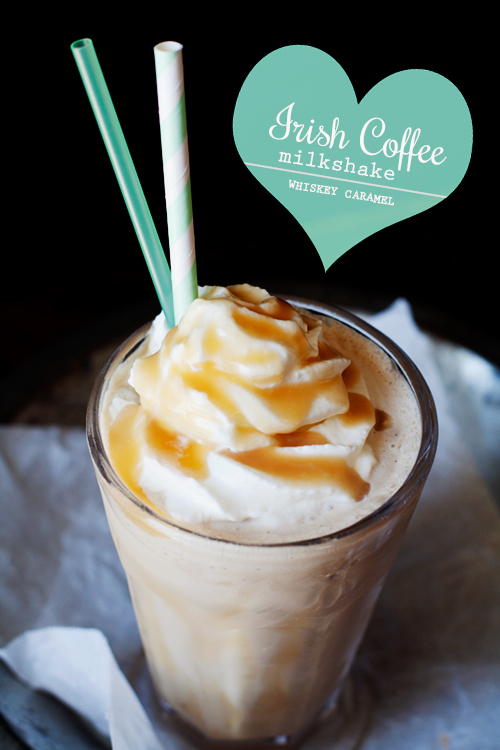 This shake has some of my favorite flavors ever–I mean, whiskey and caramel should just be BFF’s, right? plus, coffee? Get out. 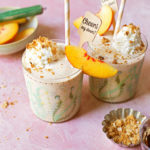 This shake is a quick indulgence for one, but can be easily adapted to make a batch of impressive, crowd-pleasing treats. 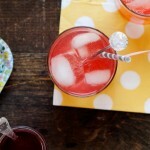 Pop in a straw and knock one back! I’m sure you guys know what a milkshake is all about and exactly how you like them, so ratios below are just a suggestion. Shake it up, add mix-ins, do yo’ thing. 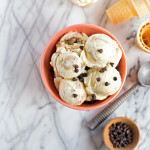 Begin by dissolving the espresso powder in the milk, add to a blender canister along with the ice cream, whiskey, and a generous drizzle of caramel sauce. Blend it up! Drizzle the inside of your glass with more caramel, pour in the shake, top with whipped cream and more caramel if desired. Cheers! In a medium saucepan combine the sugar, water, and golden syrup, gently combine. Heat over medium-high until the mixture becomes a syrup and comes to a boil. 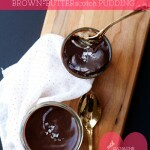 Continue to boil until the syrup becomes a deep golden, brown caramel color–as dark as you dare before it burns. Remove from heat and quickly whisk in the butter, cream, and salt, until smooth. Return to heat if needed to create a smooth sauce. Whisk in the whiskey to combine. Pour into a heatproof jar and cool. Can be stored, covered, in the refrigerator for a week. Everything about this is amazing, and I love that you just said BFD. Hah! I mean…it IS a bfd, haha! WUT?!?! This looks amazing. And yes, I’m like you. There’s no way I would even think of venturing outside to, say, an Irish pub on St. Patty’s Day. 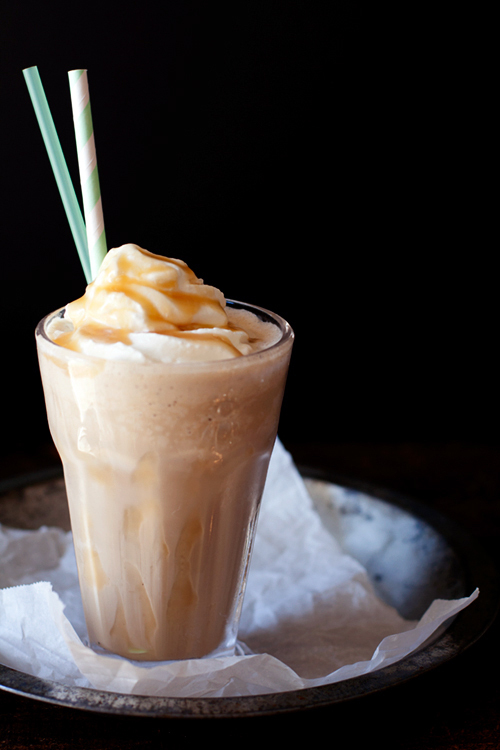 And plus, they would never be serving this type of delicious boozy milkshake with caramel (!!!) anyway. Just more reason to stay home. yes! I’m glad to know we’d get along, home-body style! I think I’m just going to pretend that every day is St. Patty’s day and have this shake for lunch. do it! i totally approve. giiirl! homemade bailey’s would be amazing! SWOON! I adore whiskey and caramel (OG butterscotch, amiright?) and swirling that bad mother with coffee ice cream? Genius. Hope you have a lovely St. Paddy’s Day! I’m so down with this milkshake that I’m probably never going to be able to get back up. PS. Does the fact that I had to think really hard about what BFD means make me uncool? hahah! and no way, I’m not always hip to the acronyms either (and typing hip-to-the-acronyms is probably SUPER uncool)! Loving this! Seriously, looks so good. Creamy and delicious! Whoa. You had me drooling with the blueberry maple ice cream soda last week, but there are no words for how much I wish I could grab one of these out of my computer screen right now. I can’t believe you have 2 delicious ice cream beverages in your life and I have zero. I MUST CHANGE THIS. 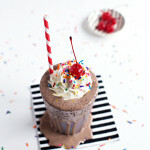 Beautiful photos and love the idea of the boozy milkshake. Perfection! I want to chug this for lunch erryday, girl! Looks so good. This might be the only way I could whiskey it up. Pairing it with ice cream is way better than white wine, right? haha, hell yeah!! you could totally do this! Oh yum, that milkshake looks and sounds divine! I’m not always captivated by alcoholic sweet drinks but this looks so very tempting. Nice mix of coffee/whisky flavor and great photos. I need one of these right away! oh my gahhhh can i have one right nowwww? 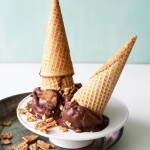 would make the PERFECT dessert for a date with my honey… love it!